Manuel Couceiro, Untitled, 1977. Oil on canvas, 42 1/2 x 61 in. Drapetomanía explores the forgotten visual arts and cultural movement of Grupo Antillano, which thrived between 1978 and 1983. The group emphasized the centrality of African practices in Cuban national culture. The exhibition features works by artists who belonged to Grupo Antillano, as well as contemporary Cuban artists. 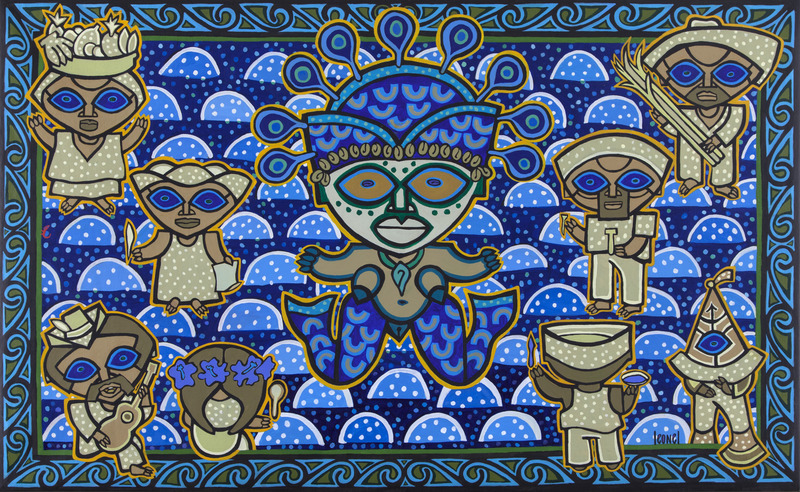 Curated by Alejandro de la Fuente, this exhibition is a collaboration between The 8th Floor and the Afro-Latin American Research Institute at the Hutchins Center for African and African American Research at Harvard University. From March 7, 2014 through July 18, 2014 at The 8th Floor, New York.